Indian male pants and tunic top costume. 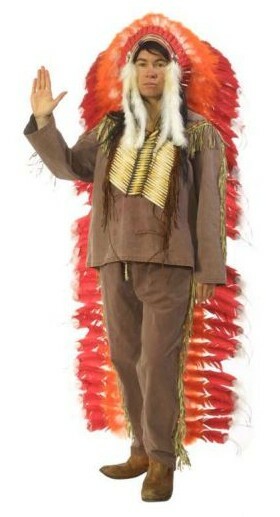 Great for a couples outfit with an Indian squaw. 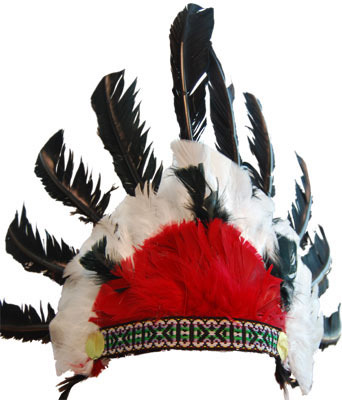 Indian Chief feather head dress in black red and white.